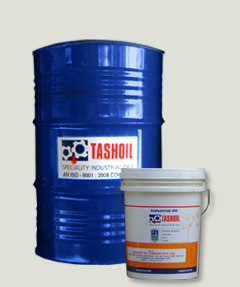 Dry Film Rust Preventive - RUSTANT PP 35 /38 :: Tashoil Company Pvt. Ltd. The maximum performance of TASHOIL Rust	ant (PP products) can be achieved only when the metals surface to be protected are clean, dry and free of rust, oil and mill scale. ‘TASHOIL’ Rustant products recommends that the metal substrate temperature be 40 - 95°F (5 - 35°C) at the time of product application. ‘TASHOIL ‘ Rustant PP-35 / 38 is formulated to be used as supplied. Ensure uniform consistency prior to use. Continued stirring is generally not required. if the product thickens due to cold storage or loss of solvent during use, contact TASHKENT OIL COMPNAY PVT LTD. DO NOT THIN RUSTANT PP 35 /38. Incorrect thinning will affect film build dry time and product performance. ‘TASHOIL’ Rustant PP product recommends that the ambient and product temperature be 40 - 95°F(5 - 35°C) at time of application. Do not apply heat, fire or explosion may result. TASHOIL Rustant PP product can be applied by spray or dip. ‘TASHOIL’ Rustant PP-35 / 38 can be removed with mineral spirits or any similar petroleum solvent, vapor degreasing, hot alkaline wash, or low pressure steam. ‘TASHOIL’ Rustant PP - 35 / 38 can be removed from fabrics by normal dry cleaning preocedure. Avoid the use of chlorinated or highly aromatic solvents when removing from painted surfaces, as these solvents may adversely affect paint.